Can I Sell My Property Below Market Value? My house (my only property) is perhaps valued at £190,000. Can I sell it to my daughter (a single parent) for less than this? You can sell your house to your daughter for whatever figure you want. However for tax purposes it is deemed that you sold it to her for its present market value – the figure it would fetch on the open market in an arm’s length sale to a third party. For tax purposes this is the figure for which you are deemed to sell it, and it is also the figure your daughter is deemed to buy it for. In your case it would appear to be £190,000. If this house is your principal private residence then the sale should not trigger any capital gains tax liability for you. 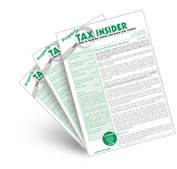 This can be seen on page http://www.hmrc.gov.uk/manuals/cgmanual/CG14530.htm of the HMRC Capital Gains Manual.